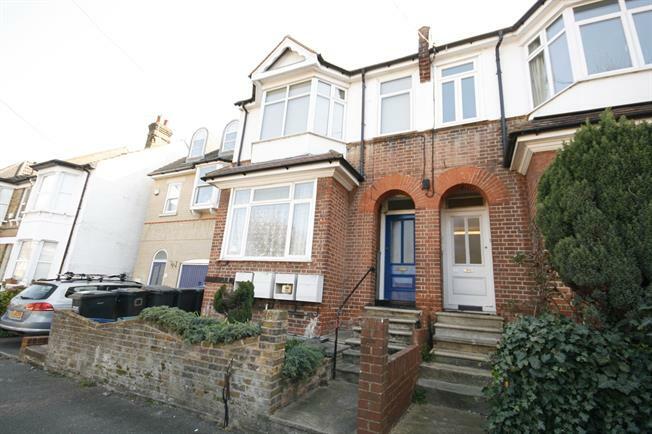 2 Bedroom Flat For Sale in South Croydon for Guide Price £300,000. A beautifully presented to floor conversion apartment, ideally located for Sanderstead railway station giving access to East Croydon and Central London. The property has been modernised by its present owners and now offers a modern contemporary atmosphere throughout. There are two bedrooms, bedroom one benefiting from dual eaves storage cupboards. There is a cosy lounge with open planned dining breakfast area. The kitchen offers a range of modern units with work surfaces above with integrated oven and hob with canopied extractor above and tiled back. There is a modern bathroom. Other features include decorative radiator covers and wooden flooring. The property benefits from gas central heating and double glazing.